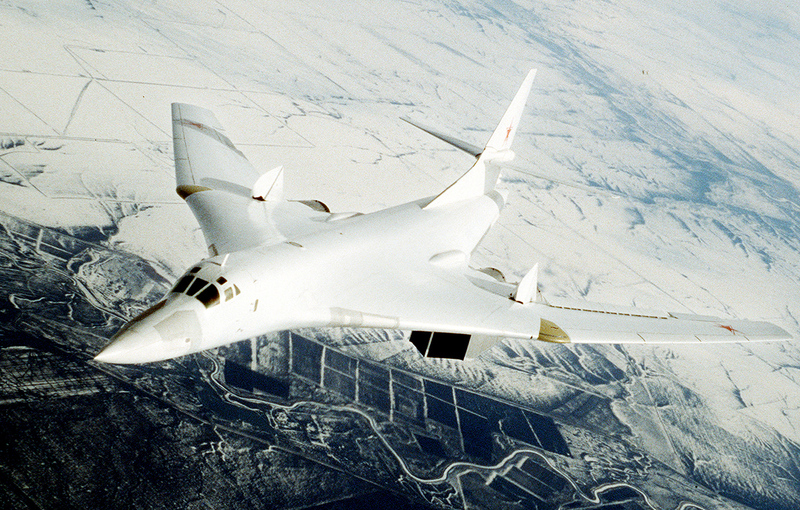 Tupolev Tu-160 will be replaced by the new strategic bomber. The new PAK DA bomber will be the backbone of Russian strategic air power, but that might be a decade away. The first test version of the PAK DA bomber will take off in the early 2020s, and will be built according to the "flying wing" design - without a tail unit, and a fuselage separated from the wings - and will be able to fly at subsonic speeds of up to 700 mph. This is significantly less than the speed of the Tu-160, which is the main component of Russia's long-distance military aviation and which will be replaced by the new strategic bomber. "The Tu-160 was created to break through the enemy's air defense systems, and that’s why thanks to its supersonic speed and flight characteristics, it can go into the stratosphere to avoid the enemy's fighter-interceptors and anti-aircraft missiles, and then easily bomb enemy territory," said Professor Vadim Kozyulin of the Academy of Military Sciences. Today, the Russian Air Force has the powerful X-555 and X-101 long-range missiles that can fly 3,000 miles, which is why there is no more need for long-distance bombers. Now the strategic bomber can carry out its mission without leaving Russia’s borders and remain under the protection of air defense systems. The missile, which is made of Stealth radio-absorbing materials, will be placed inside the warplane. "For the first time, missiles that are not only placed inside the plane but are also aimed from there, have been made for the T-50 fighter. Previously, this was impossible, and they had to hang on an external suspension, from which they received the location of the target, were aimed and took off," added Kozyulin, who emphasized that this would help shield the plane from enemy radar. Experts believe that the PAK DA will not carry more ammunition than the Tu-160 and other planes from Russia's strategic aviation, (up to 40 tons of ammunition). "The PAK DA can be equipped with any type of nuclear and conventional bomb: armor piercing, penetration, cluster and others," said Pavel Bulat, director of the International Mechanics and Energy Systems Laboratory at the University of Information Technologies. Work on creating the new strategic bomber began in 2009. The Tupolev Corporation, whose planes make up the bulk of Russia's long-distance military aviation, won the contract to produce the PAK DA. Originally, the Russian Defense Ministry planned to enter the plane into service by 2025, with test flights in 2020. However, the project has been postponed and the Defense Ministry is renewing the serial production of the modernized Tu-160. "The Americans have been making new generation bombers for 20-30 years, and it takes so much time because neither they nor we have a real need for such planes. Their old B-52s, just like our Tu-160s, meet all the challenges of the nuclear triad. That’s why no one is in a hurry to create the new strategic bomber until there is a real technical breakthrough," said Bulat.